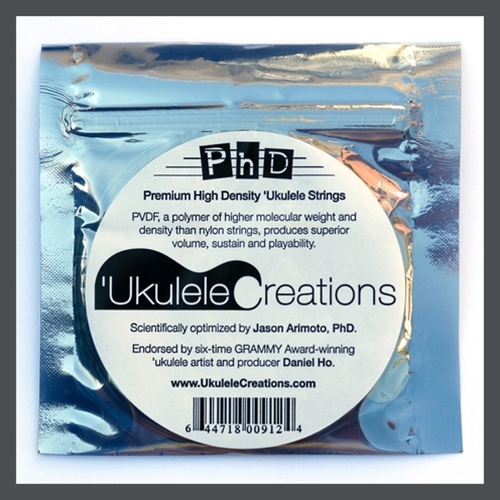 PhD Strings -- Premium High Density 'Ukulele Strings. PVDF, a polymer of higher molecular weight and density than nylon, produces superior volume, sustain and playability. Scientifically optimized by Jason Arimoto, PhD. Endorsed by six-time Grammy Award-winning 'ukulele artist and producer Daniel Ho.